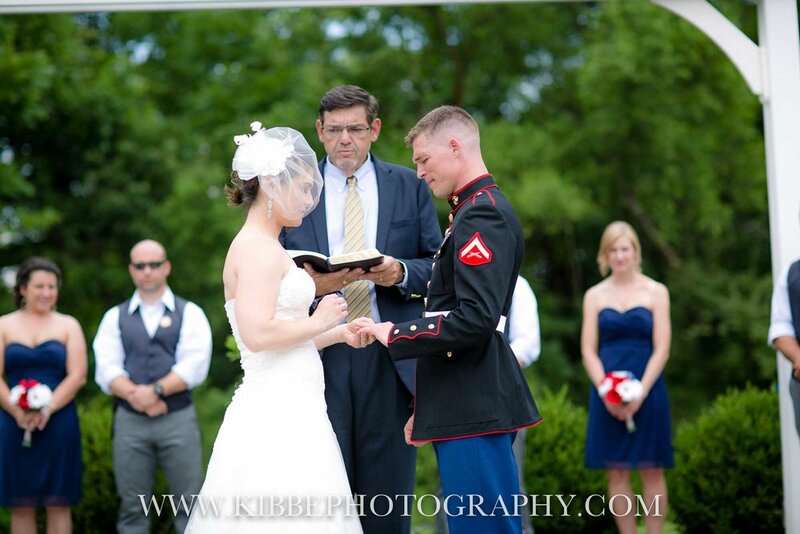 Military Wedding Ceremonies and Receptions on the Gettysburg Battlefield in Gettysburg, PA. We offer a 10% Discount to Active Duty Military on all of our Wedding Ceremony and Reception Packages. 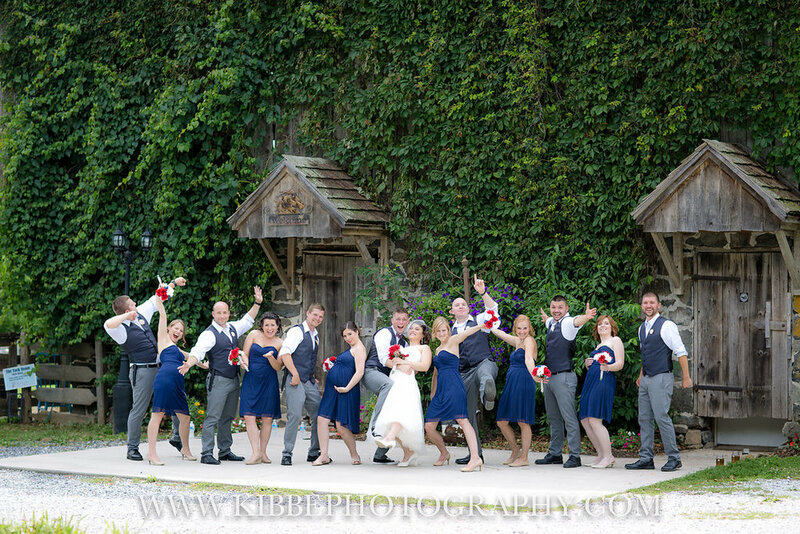 Military Wedding Venues close to the Pentagon, Marine Corps Base Quantico, Fort Belvoir, Andrews Air Force Base, Fort Myer, Joint Base Anacostia-Bolling, The US Naval Academy, Navy Fort Meade, Coast Guard Sector Baltimore, Fort Detrick, Aberdeen Proving Ground, Joint Base McGuire-Dix-Lakehurst, and The Carlisle Barracks. Set back in the beautiful countryside of Gettysburg, PA on the location of the South Cavalry Battlefield, Battlefield Bed and Breakfast Inn is a unique wedding venue with an intimate connection to the Battle of Gettysburg and the history of the United States Military. The beautifully restored 1809 field stone Farmhouse was both witness to the Battle of Gettysburg and headquarters for Union Major General Wesley Merritt, who served in the American Civil War, the American Indian Wars, and the Spanish - American War. Major General Wesley Merritt would also go on to become the superintendent of West Point in 1882. The Bed and Breakfast's thirty acre property was used by the Union Army as a camp location and the Historic Barn was utilized as a Union Army Field Hospital. Battlefield Bed and Breakfast Inn exists today as a living historical monument to the brave soldiers who fought and perished fighting for the cause of freedom and the future of our great nation. Every day at the Inn begins with a morning history presentation with one of our highly educated Civil War Historians. Afterwards, enjoy a delicious full breakfast prepared by our own breakfast cooks. We serve foods reminiscent of rural living, so expect scrumptious pan fried farm potatoes, farm fresh eggs, savory breakfast meats, and a fine selection of made from scratch baked goods. A Wedding at a Historic Bed and Breakfast is a very special occasion. The Wedding and Reception package includes use of our entire thirty acre property, the Historic Barn, and the Solarium Event Venue. The package includes an outdoor (or indoor) ceremony, either in our beautiful Wedding Garden or inside the Solarium. Many Brides and Grooms prefer to incorporate an indoor cocktail hour inside the Solarium after their ceremony, though you may also choose to do this outdoors on the lawn. Before the reception consider using our lawn spaces to play horseshoes, volleyball, or an outdoor game of your choosing. Receptions are held inside the Historic Barn - all tables, chairs, and tablecloths are included in the package. Battlefield Bed and Breakfast Inn will accommodate special seating arrangements for any guest(s) of honor in attendance at the reception, e.g. the seating of guests according to Military rank. Dance the night away with our talented DJ - the package includes a four hour DJ set with an end time of 10:00 PM. The barn can be decorated to the Bride and Groom's choosing, the bridal party is responsible for the set up and tear down of all decorations. In addition to the wedding day itself, the package also includes time on the property to decorate the Solarium and/or Historic Barn as well as a rehearsal dinner inside the Solarium. All tables and chairs requested for the ceremony, cocktail hour, and reception will be set up by the staff members of Battlefield Bed and Breakfast Inn prior to the event. At Battlefield Bed and Breakfast Inn you will find a caring and professional staff ready to make the wedding of your dreams come true. Our Wedding Event Venue Coordinator Debbie March has six years of experience coordinating Weddings and Events on the grounds of Battlefield Bed and Breakfast Inn, including many Military Weddings and Receptions. The Official Seals of the Department of the Air Force, The Department of the Navy - US Marine Corps, The Department of the Navy, The Department of the Army, and The United States Coast Guard. Active Duty Military Service Members receive a 10% discount on all Wedding and Reception packages available at Battlefield Bed and Breakfast Inn Sundays through Thursdays all year long. This includes the Large Wedding package, Small to Medium size Wedding packages, and our Elopement Packages. The 10% discount includes any overnight accommodations included within the Wedding Package - for instance the Tack Room is included when a couple books our Large Wedding Package. Battlefield Bed and Breakfast Inn is located on the south side of the Gettysburg National Military Park on the site of the South Cavalry Battlefield. The Inn is within a comfortable walking distance of The Peach Orchard, Big Round Top, Little Round Top, Devil's Den, and many other famous Gettysburg Battlefield landmarks. The Inn is only five minute drive away from the town of Historic Gettysburg Pennsylvania and a ten minute drive from the National Military Park Museum and Visitor's Center. At Battlefield Bed and Breakfast Inn you will be in a prime location to enjoy everything that Historic Gettysburg has to offer. Debbie March is our event coordinator. If you would like information about our wedding and reception packages, family reunions, or birthday and graduation parties, please e-mail Debbie at gettysburgevents@gmail.com or call Debbie at 1-717-357-8073. Please include your preferred dates, the number of people you expect, and any information that you can share about the style of event that you envision. We would enjoy giving you a tour of the property. Please e-mail or call for a tour appointment. For reservations or other questions about accommodations at the inn, call the front desk at 1-717-334-8804.